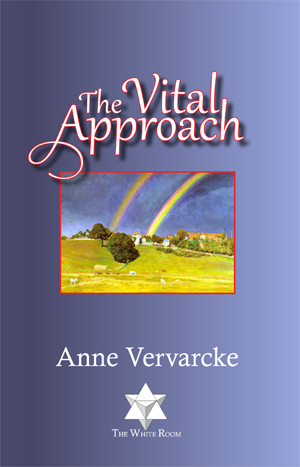 The vital approach is a condensed introduction in the case taking and analysis techniques based on Anne’s thorough understanding and experience. It is clear, methodically and sophisticated and enables to see the beauty of the coherent pattern in every case. This is what Christel Lombaerts, head of the CKH, says about “The Vital Approach”: Ten years ago, when I attended my first homeopathy class ever, I was immediately captivated by the intriguing way in which Anne presented homeopathic philosophy. Her teaching was a living illustration of the adage that the mind is not a vessel to be filled but a fire to be kindled. She wanted us to be curious and inquisitive. She encouraged us to speak up, to argue, to question her and each other. Most of all she prompted us to make up our own minds, to deconstruct our beliefs about health and disease and to come to terms with the homeopathic paradigm – in due course. Anne’s own unusual, investigating mind continues to question whatever is presented to her in- and outside homeopathy. She was at the front row when new developments in homeopathy promised to make the homeopathic curriculum simpler, the materia medica manageable, the homeopaths’ life easier. However, she did not assimilate unquestioningly the new insights nor did she pass them on without having them confirmed in practice. Always with her students and teachings in mind, she critically assessed provings, case-taking methods as well as theories. The Vital Approach is the result of more than twenty years of skilfully applying knowledge of materia medica, theory and philosophy, without ever losing sight of homeopathy’s protagonist: the patient. Both in her teaching and practice Anne lives up to her own high standards of ethics, with compassion and care. In the last years Anne has become more to me than a teacher. She has become an invaluable colleague, a friend, a beacon in the turbulent waters of homeopathy today. I am challenging everyone with a passion for homeopathy, regardless of his or her background, to have Anne’s Vital Approach shed a new light on this fascinating art of healing. Klassieke homeopathie, niet te geloven! ?